If the shoe makes the man, it makes the young man too. 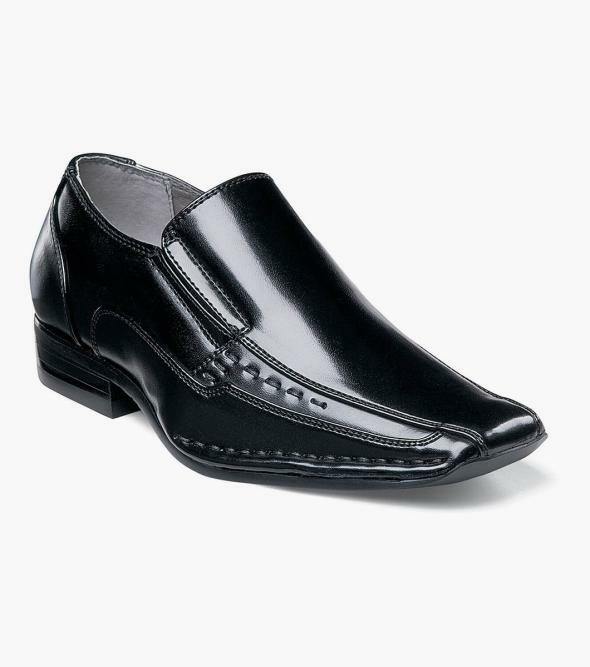 Case in point, the Stacy Adams Templin Bike Toe. This sharp looking slip on has a chiseled toe and unique stitching details for great looks and a gore opening that adjusts to his foot for comfort.